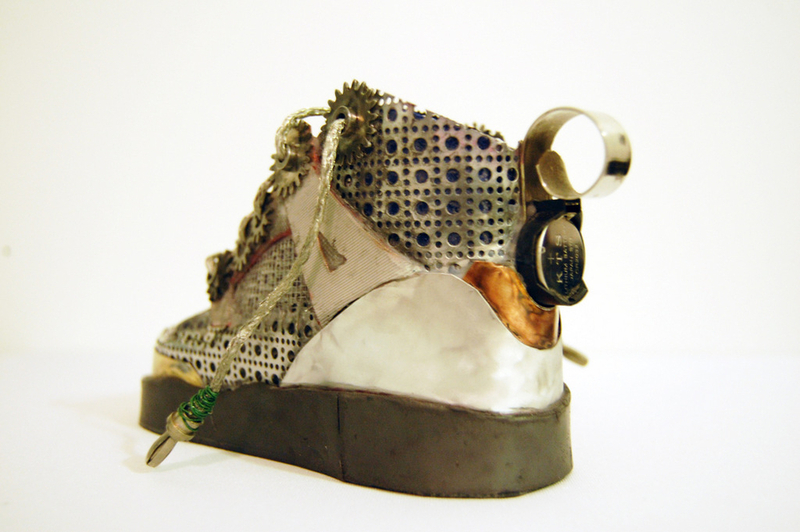 DESCRIPTION AND DETAILS: This sculpture pays homage to the Jordan Spizike my favorite Nike Fusion. Define: Cyberprise a slang term used to describe the merging of cyberspace and enterprise. KEY FEATURES: Braided steel lacing for durability. Reserve battery for extended use. Keyboard insole for added cushioning. Tongue rubber for added lace lock down. 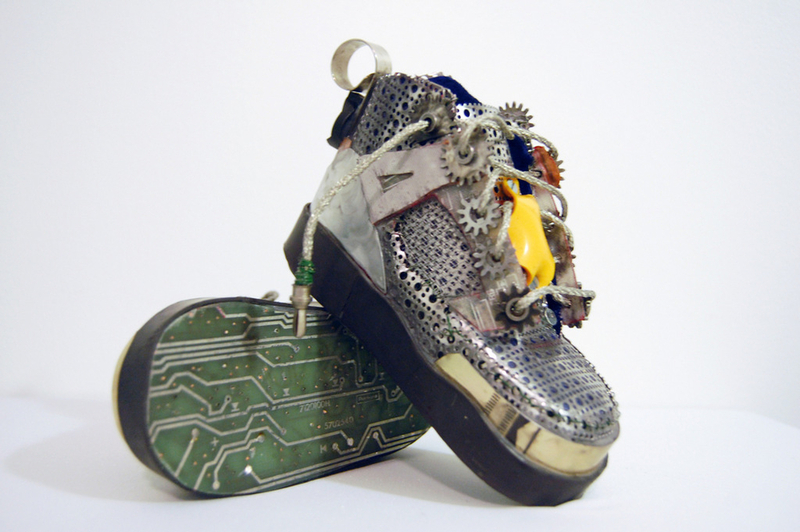 Circuit board outer sole for superior data transfer and durability.